The UK Space Agency is making an extra investment of over £200 million in Europe’s space programme, providing the UK with increased leadership in a rapidly growing global sector and building on the UK space industry’s £11.3 billion contribution to the British economy. From a Mars rover to the development of the next generation telecoms satellites, the direction of Britain’s investment in European space projects was decided earlier this month by Minister for universities, science and cities, Greg Clark, at the European Space Agency’s (ESA) ministerial council in Luxembourg. It will strengthen the UK role in a number of areas, including telecommunications and microgravity research. Space industry forecasts that the investment package will enable it to pursue new markets worth over £1.5 billion, supporting the UK’s ambition to grow a £30 billion space industry by 2030. The UK’s new package of investment with ESA includes £47.7 million for the ExoMars programme, with the UK taking overall leadership of the rover module. The pan-European ExoMars mission will address the outstanding scientific question of whether life has ever existed on Mars and will be the first to deploy a non-US rover to the Martian surface to drill, collect and analyse samples. By committing an extra £47.7 million to ExoMars the UK is not only guaranteeing that this high impact space programme will go ahead as planned, but will gain overall leadership of the rover module whose complete design, including the final integration and testing, will now be in the UK instead of Italy. at the heart of the UK space industry, with the previous projects within ESA’s ARTES telecommunications programme having generating £750 million of private investment and sales so far. New ARTES investment will include £56.9 million for Quantum-class comsat, which will involve the UK leading the development of a new type of smart, lower cost telecommunications satellite. Industry estimates that commercialisation of this technology could win global orders worth over £1 billion. The satellite’s novel telecommunications payload will be developed by Airbus Defence and Space UK and carried on a new small geostationary satellite platform built by Surrey Satellite Technology. The UK will also commit £49.2 million towards ESA’s role in the Space Station programme which will give UK researchers access to the $100 billion ISS programme, allowing them to use the unique environment of space to carry out research and make important advances in areas such as materials science, additive manufacturing and medical/biological sciences. The money will also be invested in the demonstration of a UK-built communications terminal for the European module of the ISS, possible lunar research activities that ESA is considering, and new opportunities such as deployment of cubesats that can be used to test technology or undertake science experiments from the ISS. A further £28.4 million investment will support the successful European Integrated Applications (IAP) programme which is managed in the UK and is already driving the creation and growth of businesses based on space data for markets including agriculture, medical services, fisheries and rail. ESA supplier evaluation suggests that the investment could generate returns of up to €365 million. £29.4 million for high throughput satellite services and applications to fuel application research, development and manufacturing within the satellite broadband environment. The joint programme will stimulate significant growth for UK industry and support inward investment opportunities. £4.9 million for the European Data Relay System (EDRS), an independent European satellite system designed to reduce time delays in the transmission of large quantities of data from the Copernicus constellation and similar low-Earth orbit satellites. The UK is already host to the first of four operational EDRS receiving stations and will benefit greatly from the real-time Earth Observation data that this project will enable. £11 million for Inmarsat Communications Evolution (ICE), a joint programme with Inmarsat to develop an optimised and open platform for mobile satellite services to be developed within a business ecosystem from space manufacturers to application developers. 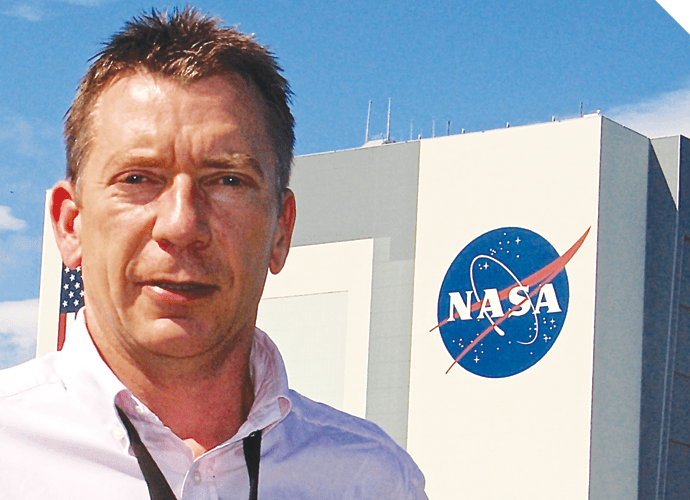 Dr David Parker, Chief Executive of the UKSA, said: “With the world space market likely to grow to at least £400 billion by 2030, the UK needs to stay in the game and build on its growing success.